Even after 3,000 years, we're still using ancient Greek ideas in maths, science and art. Our alphabet is based on the Greek one. Check a dictionary and you’ll find hundreds of words that come from the Greek language. How did Greek ideas spread so far? It’s down to Alexander, the young king of Macedon. He led his army to take over Greece, Persia, Egypt and even part of India. He ruled so much of the world they called him ‘Alexander the Great’. Wherever he went, Alexander took Greek ideas. When he died in 323BC, the Romans took over. They admired the Greeks' way of life and carried Greek ideas to even more countries - including ours! Did the Greeks invent government? In ancient Athens, citizens would gather together on a dusty hill called the Pynx. Here they would decide the city’s laws and who should sit on its ruling council. This was ‘democracy’ or ‘rule by the people’. All 30,000 citizens were men. Women and slaves didn't get a say. A citizen could speak for the time it took water to run from one jar into another. When this water clock ran out, it was someone else’s turn. A jury of 500 citizens decided if someone was guilty of law-breaking. Punishments included death. Citizens could also vote to get rid of people they disliked. Each man wrote a name on a broken bit of pottery called an ‘ostracon’. Anyone named more than 600 times got kicked out of the city. Today, we also live in a democracy. Unlike in ancient Greece, women get to vote, too. Juries of 12 people decide if someone is guilty of a crime - we don’t use ostracons anymore! 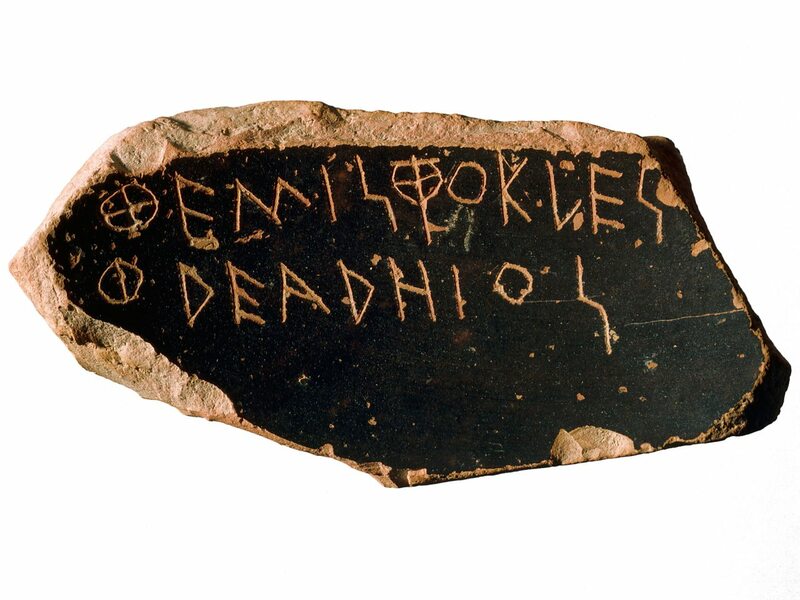 This ostracon has the name 'Themistocles' written on it. He led the Athenian navy in the war with Persia, but was later ostracised (banished). How did the Greeks change sport? The Greeks loved sport as much as we do. They enjoyed the discus, javelin, long jump, boxing and horse racing. Athletes prayed to Nike, the goddess of victory - she’s still a big name in sport today! Greek men and boys trained in a gymnasium. We also go to the gym, although today women and girls are welcome too. The Greeks loved to watch races in a big, open-air ‘stadion’, very like a modern sports stadium. Every four years the Greeks held a special sporting festival at Olympia - the Olympic Games. These inspired the modern Olympics which began in 1896. Some of the events were very similar. Like the Greeks, we also hold the Olympics every four years. Legend tells of Pheidippides, who fought at the battle of Marathon in 490BC. When the Greeks won, he ran 26 miles (42 km) to Athens with the news – and then fell down dead. Modern marathon races cover the same distance as his epic run. 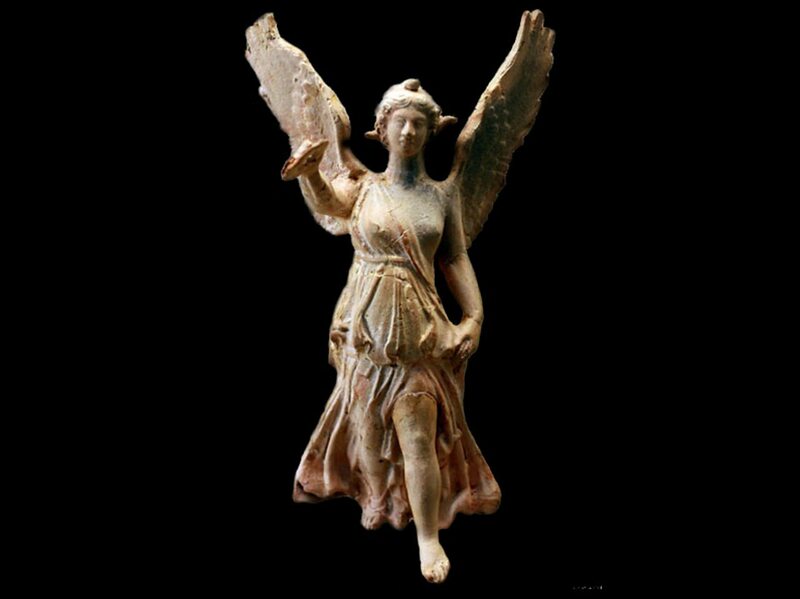 This is a terracotta statue of Nike, the goddess of victory. She is holding a wreath ready to crown a winner. Did the Greeks change the way we think? Ancient Greek thinkers made big discoveries. Pythagoras found ways to measure and describe shapes that we still use in maths today. Aristotle studied plants, animals and rocks. He devised experiments to find out about the world we live in. Modern scientists do the same kind of thing. Herodotus wrote a history of the Greeks. He based this on eyewitness reports, something today’s historians also try to do. Socrates and Plato were philosophers. They asked, “What is a good life?” and “How do we think?” Philosophers in our time also try to answer these questions. 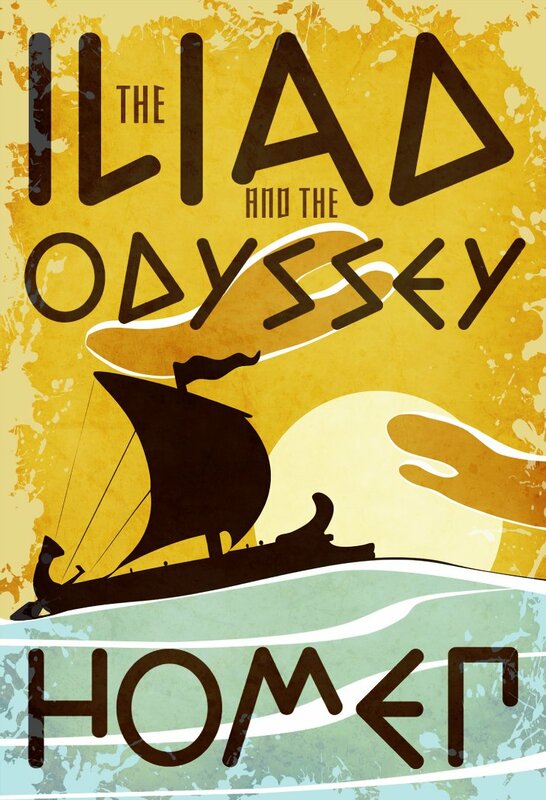 Ancient Greek stories are still told today. We love films about superheroes and monsters. Our TV soaps are full of stories about long-lost children returning to find their parents - just as ancient Greek plays were.